Exactly 1 year ago, I visited Sec. 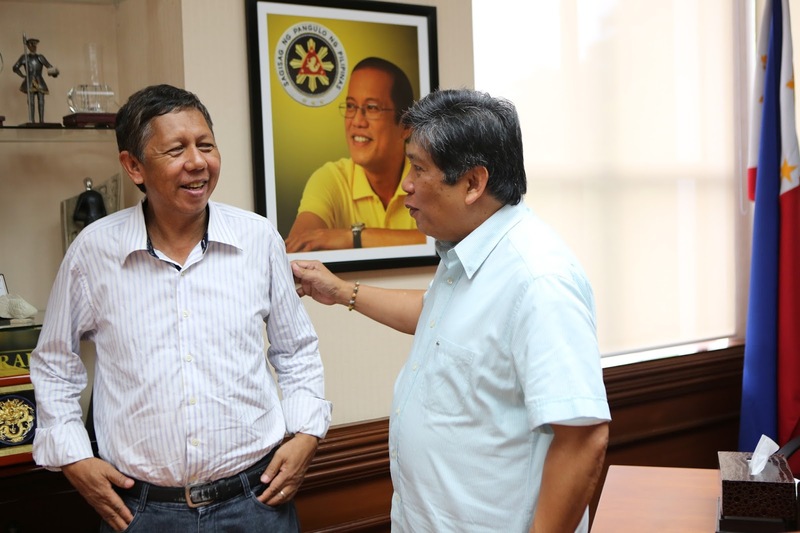 Sonny Coloma in his office in Malacanang, the Presidential Communications Operations Office (PCOO). He gave me the privilege of a one-on-one short interview on various issues for my BWorld article. Very nice guy, as always. Today, half-day na lang sya doon. And former President Noynoy Aquino (PNoy), despite all the warts and brickbats, he did a good job in improving overall business confidence in this country. Congrats Sec. Sonny, Congrats and thank you, PNoy. The President has been a reluctant leader. But his reluctance gave way to a quiet decisiveness against corruption and for good governance. And the result has been six tough but fruitful years. His administration has not been perfect, but the perfection of our democracy, of our republic lies in each of us. ‘In behalf of my family, thank you Mr. President for doing your best to uplift the lives of all Filipinos and for inspiring others to serve the people with faithfulness and selflessness. I’m proud and grateful to have served under you, even if only briefly as Presidential Assistant on Food Security and Agricultural Modernization. As a friend, Liberal Party-mate, and fellow public servant, I pray that God will continue to bless you and your family, and our country. Salamat, boss! Good start, good message, President. He also said that he will respect due process and the rule of law, good. All the foreign Ambassadors in Manila were there, officials of foreign aid, top legislators, etc. Very important audience + televised nationwide, so those pronouncements are reverberating now. Immediate Past President Benigno Aquino also promised reduced business bureaucracies in his 1st SONA, July 2010. It only slightly happened. I think there is a disconnect between the elected, term-constrained politicians and the forever bureaucrats. The former are kept on the ground especially during the campaign period, and after their term ends and they lose an election, they go back as private citizens, subjected to regulations and bureaucracies. The full time bureaucracy often have zero plan of being regulated, they only plan to be regulators until they retire. So it is this group of people who will ultimately resist moves towards reducing government bureaucracies and regulations. I hope that the new President will pounce his strong arm on the bureaucracy and force them to step back from heavy regulations, intervention and bureaucratism. * This is my article in BusinessWorld last June 23, 2016. This question will covered in the forthcoming BusinessWorld Economic Forum on July 12, 2016, to be held at the Shangri-La at the Fort, Taguig City. It will be a big event featuring the CEOs and Presidents of some of the biggest corporations in the country as speakers. The afternoon session will feature the topic “The Philippine Economy Under the New Presidency” and the main speaker will be Mr. Carlos G. Dominguez III, Secretary, Department of Finance. The two other speakers in the same panel will be Mr. Ramon R. Del Rosario, President, Phinma Corporation, and Ms. Riza G. Mantaring, President, SunLife Financial. Let us briefly review the Philippine’s GDP growth performance over the last six administrations, from the last six years (out of 20 years in power) of past President Ferdinand Marcos up to the term of the outgoing President Benigno S. C. Aquino III. Growth figures of the Philippines’ major economies in Asia are also shown to provide a comparative insight about the overall economic environment during those periods (see Table 1). 1. President Benigno S. C. Aquino III’s administration has experienced or facilitated the fastest growth of the Philippine economy over the past 3 decades. 2. 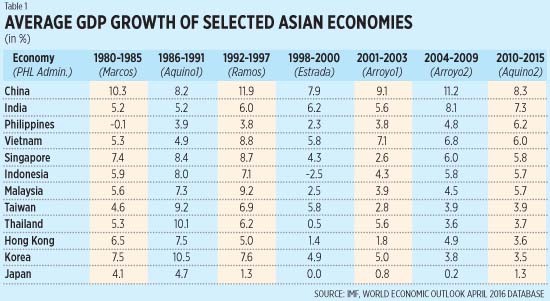 From 1980-1997, the Philippines has the slowest growth rate in the Asia Pacific except Brunei and Japan. Which contributed to the country’s ugly label of “sick man of Asia” for nearly two decades. 3. China has maintained its average double-digit growth for four decades until 2010. Growth slowdown started in 2011 until today but the growth rate, 6%-9%, is still high compared those experienced by many other countries. India and Vietnam are following its fast growth trajectory, though at a lower pace of 6%-8%. Among the ASEAN countries, the fastest growing economies actually exclude the Philippines. These countries, with their average GDP growth rates from 2010-2015, are: Laos with 7.7%, Myanmar, 7.1%; and Cambodia, 7.0%. These countries though have low economic base and hence, growth potential is much higher than countries with bigger economic bases. But after being an economic laggard for three decades, the Philippines stood out, posting robust growth. Will the Duterte administration be able to sustain this momentum, reverse it, or surpass it? Here are three GDP growth projections for the same 12 economies above, coming from three different institutions. 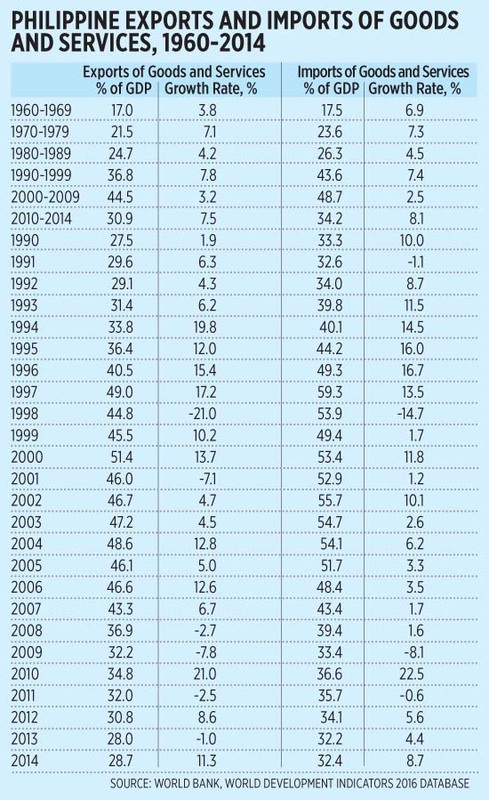 The Economist forecast is composite for month of their reports are also indicated (see Table 2). The Bank of Philippine Islands’ (BPI) Global Markets Commentary, June 2016 issue also showed its GDP growth forecast for the Philippines from 2016, 2017, and 2018 at 6.2%, 6.3%, and 6.6% respectively, or an average of 6.4%, much higher than IMF’s projections. So it appears that the Duterte government will be able to sustain President Aquino’s economic achievement, especially based on the ADB and IMF forecasts. 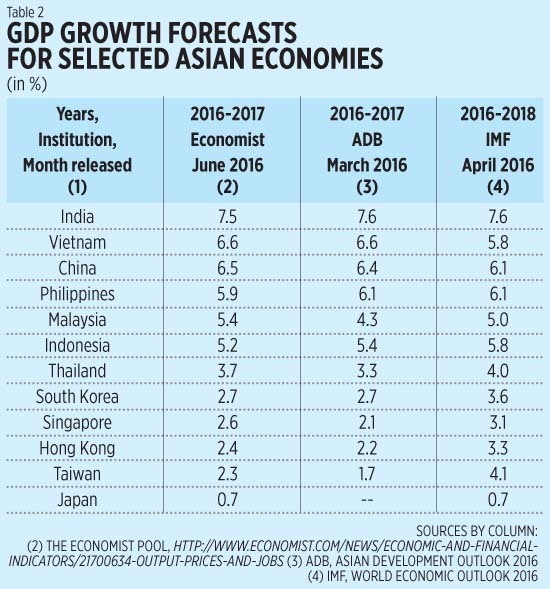 The Economist’s pool of forecasts however, sees a slightly lower growth trajectory. Nonetheless, let us keep the optimistic perspective. 1. Continue and maintain current macroeconomic policies, including fiscal, monetary, and trade policies. 2. Institute progressive tax reform and more effective tax collection, indexing taxes to inflation. 3. Increase competitiveness and ease of doing business, relax Constitutional restrictions on foreign ownership except land ownership. 4. Accelerate annual infrastructure spending to account for 5% of GDP, with Public-Private Partnerships. 5. Promote rural development, agricultural, and rural enterprise productivity, rural tourism. 6. Ensure security of land tenure, address bottlenecks in land management and titling agencies. 7. Invest in human capital development, health and education systems. 8. Promote science, technology and innovation. 9. Improve social protection programs including the Conditional Cash Transfer program. 10. Strengthen implementation of Reproductive Health (RH) Law. These are good programs, especially since they cover economic liberalization policies and rule of law. 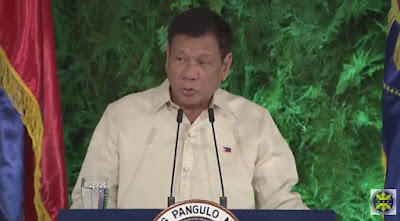 Welfarism policies complete the picture although President Duterte was not known for promising welfarist policies during the campaign period, he focused on fighting criminality and corruption. So, can we expect a “change for the better” or “change for the worse?” Economically, it appears to be the former. Respecting human rights is a different matter though and we hope it will not be a change for the worse because some worrying indicators are showing, more dead bodies of “suspected drug pushers/drug lords/thieves” are piling faster as June 30 is approaching. Bienvenido S. Oplas, Jr. is the head of Minimal Government Thinkers, a SEANET Fellow and member of Economic Freedom Network (EFN) Asia. The DOE asked for public comments to its proposed draft Department Circular after the public consultation last June 16. Below is my letter to the NREB Secretariat and Dir., also Assistant Secretary Mario Marasigan. Please consider that as my position paper on the subject. Take note in particular Table 2. 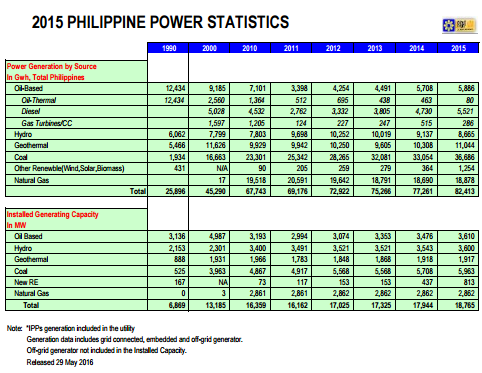 PH total electricity generation in 2015 = 82.6 TWh. Of which from wind = 0.6 TWh, from solar = 0.1 TWh. So small despite FIT + priority dispatch + fiscal subsidies. In contrast: Vietnam electricity generation in 2015 = 164.6 TWh (2x that of PH's). Of which from wind + solar = 0.2 TWh only. Indonesia's = 234 TWh (nearly 3x that of PH's), of which from wind + solar = less than 0.1 TWh. Malaysia's = 147.4 TWh (nearly 2x that of PH's), of which from wind + solar = 0.1 TWh only. Our neighbors have huge existing power capacity, something that we should aspire for many years from now, and they are not gung-ho on new renewables like wind and solar. The numbers on price implication to electricity consumers should be prioritized. "The DoE should either implement the minimum 1% of AMI in RPS, or further delay RPS implementation until the price implications are studied and the consumers are not further burdened with higher prices and unstable electricity supply." New RE's share in total installed capacity rose from 0.9% (153/17,325 MW) in 2013 to 4.3% (813/18,765 MW) in 2015. But new RE's actual contribution to electricity generation nationwide was only 0.4% (279/75,266 GWh) in 2013 and 1.5% (1,254/82,413 GWh) in 2015. Low capacity factor of new REs (about 20% average for solar, wind and biomass) is the main reason for this. Old REs like geothermal and hydro have higher capacity factor, about 75%. Again, new REs give us more expensive electricity and less stable, less reliable energy source. That is why government-imposed subsidies to new REs from the pockets of electricity consumers nationwide should have short timetable, not 20 years, not even 10 years. After all, the proponents, advocates and campaigners of new REs often argue that their energy sources have "already attained grid parity" with coal and nat gas. If that is true, then the more that subsidies, fiscal incentives, mandatory dispatch and related provisions (like this soon RPS or mandatory use of renewables by __% of distribution utilities' (DUs) total electricity supply to their clients and customers.) should end soon. I got this funny but truthful adage on the "Law of bad ideas" -- bad ideas never go away, they just get worse over time. Like this report, "Robots liable to pay social security in future regulation"
If robots (or owners of robots) as "electronic persons" should pay social security, then robots as "electronic voters" should also be allowed to vote. haha. EU bureaucrats who suggested this would love the former but not the latter. Corollary #1: Left alone, bad ideas get worse over time. Corollary #2: The overwhelming desire to implement bad ideas leads to compromises guaranteed to make things worse. Corollary #: Those in positions of political power not only have the worst ideas, they also have the means to see those ideas are implemented. Corollary #4: The worse the idea, the more likely it is to be embraced by academia and political opportunists. Corollary #5: No idea is so bad it cannot be made worse. This is similar to social application of Newton's 3rd law of motion, "for every action there is an equal opposite reaction". The social application would look like this: "For every government intervention, there is an equal opposite distortion... that necessitates another round of intervention." Well, the default mode of government is to keep expanding and expanding. Say Government spending for decades of 20% of GDP becomes 25%, 33%, 40%, and so on. A no-compromise, "zero government" (anarchist) position would easily allow this to happen because in major public consultations, the room will only be filled by "big but good governance", "big govt whatsoever", "socialist government" folks. A compromise, minimal government stand helps check further expansion of govt. Say from 25% it helps control its growth to only 30% of GDP instead of 40, 50%. One must compromise and engage government, its officials and bureaucrats, the statists and socialists, in official public consultations and debates. Many government officials, despite their penchant for more regulations, actually listen to sensible recommendations backed up by data. * This is my article in BusinessWorld last June 21, 2016. The key to cheaper prices and/or good services is more competition among more players, more voluntary exchange, and not more price coercion by regulators. If buyers do not like the price of seller A, they can opt out and go to sellers B, C, and so on. Seller A is then pressured to lower his price to compete with other sellers. The key to expensive prices and/or lousy services is more government regulation and curtailing voluntary exchange. Buyers are forced to buy from expensive sellers and opting out is not allowed. This happens in government-created monopolies like tricycle routes, electric cooperatives, or government-favored sectors like producers of new renewables like solar and wind power. The Department of Energy (DoE) along with the United States Agency for International Development (USAID) conducted a public consultation last June 16 at Shangri-La at the Fort, Bonifacio Global City about the proposed or draft Department Circular (DC) on the Renewable Portfolio Standard (RPS). The activity was hurriedly organized and was not posted on the DoE’s Web site. But I heard about it from a friend and then I wrote to DoE’s Mario Marasigan and asked if I could attend it and he said yes. Thank you Sir Mario. Here is a quick backgrounder of the subject. 4. 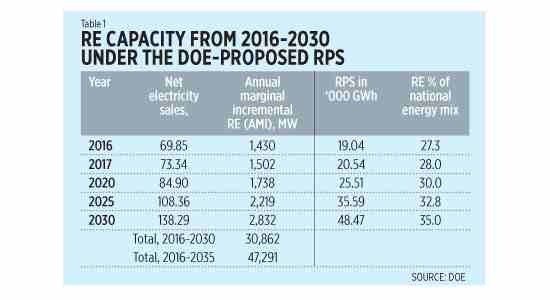 Under the Annex table, RPS Calculation, also prepared by the DoE that day, the cumulative RE capacity that will be needed from 2016 to 2030 is a glaring 30,862 MW (30.86 GW) or an average of 2.06 GW/year increase for RE alone (see Table 1). During the open forum, I asked about many consumers’ concern about expensive electricity. What would be the implication in pricing of the proposed RPS, if they impose a 1.5% annual marginal increment (AMI)? How about at 1.75% or at 2.15% (their proposed rate)? And if they target 30% renewables in the energy mix by 2030, or 32% or 35% (their proposed target), what would be the impact on electricity prices? The feed in tariff (FIT) without RPS was already four centavos per kilowatt-hour (kWh) last year, 12 centavos per kWh this year, so with FIT + RPS next year, will it become 20 centavos? 25 centavos? DoE officials answered that no study on price implications has been worked out yet and that it can come out later as the current focus is the mechanisms on how RPS will be implemented, including penalties for violators or non-implementers of RPS. 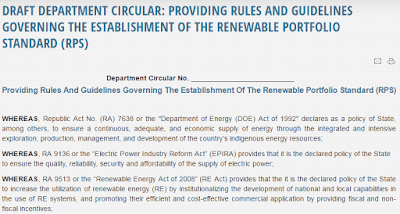 So it is a weird circular because both the DoE and the National Renewable Energy Board (NREB), the multi-stakeholder body that recommends policy options for the DoE, are pushing for a policy where they admittedly do not have a clear idea on the cost of implementation to energy consumers. One thing that can be favorable for RPS though is that distribution utilities (DUs) will have more options from among renewable technologies -- biomass, waste to energy, geothermal, run of river hydro, impounded hydro, wind, solar, ocean, hybrid systems, others -- and choose those that are least cost. The above RPS and RE targets by 2030 are not practical and not viable because the Philippines is still way below many of its neighbors in power generation and we need to grow fast to sustain the economic momentum of recent years and create more businesses, more jobs to more people. People who push for higher renewables in the national energy mix want to push out coal power as much or as soon as possible. This is a day-dream and illusionary goal because of the big role that coal power contributes to many industrialized and emerging Asian economies. From 2000 to 2015, Indonesia, Malaysia and Vietnam ramped up their coal power capacity from 375% to 609%. 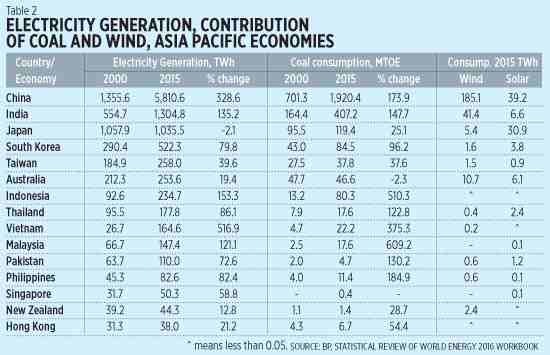 The Philippines’ 11.4 gigawatt (GW) coal capacity in 2015 was only one-half that of Vietnam’s 22 GW, only one-third that of Taiwan’s and nearly one-eighth of South Korea’s. c. 1 MTOE = produces about 4.4 terawatt-hour (TWh) of electricity in a modern power station. The share of wind and solar in total electricity production in the Philippines is small, only about 0.8% of the total in 2015, despite their installed power share of around 2.5%-3% of total installed capacity. The explanation for this is the low capacity factor of these new renewables. Some people insist that there is already “grid parity” by the new renewables with coal and natural gas, that “solar is cheaper than coal” now. If this is true, then why are they asking for another round of energy coercion through high RPS, on top of existing coercions on FIT (guaranteed price for 20 years) + priority dispatch to the grid + fiscal incentives? A developing country like the Philippines should be given more leeway in building up cheaper and stable energy sources. Energy poverty and expensive electricity result in lack of jobs because energy-intensive industries and companies would avoid the Philippines and go to energy-stable and competitively-priced economies like Malaysia, Indonesia, Vietnam and Thailand. The DoE should either implement the minimum 1% of AMI in RPS, or further delay RPS implementation until the price implications are studied and the consumers are not further burdened with higher prices and unstable electricity supply. Bienvenido S. Oplas, Jr. is a Fellow of SEANET and Stratbase-ADRi, and heads a free market think tank, Minimal Government Thinkers. "La Niña phenomenon is positively (and significantly) associated with dengue cases. La Niña, as widely known, is “cooling” of surface water temperature, inducing an abnormal cycle and intensity of dryness and wetness in different parts of the world. Although La Niña does happen naturally, its increasing frequency is attributed to general global warming." 1. "La Niña, as widely known, is “cooling” of surface water temperature" Vague. 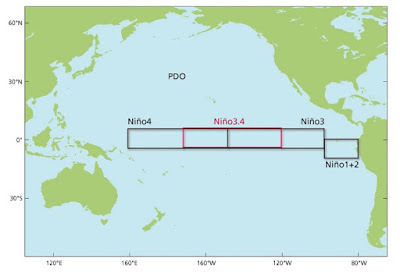 La Nina (and El Nino) is cooling (and warming) of Pacific Ocean's Nino Region 3.4 only. 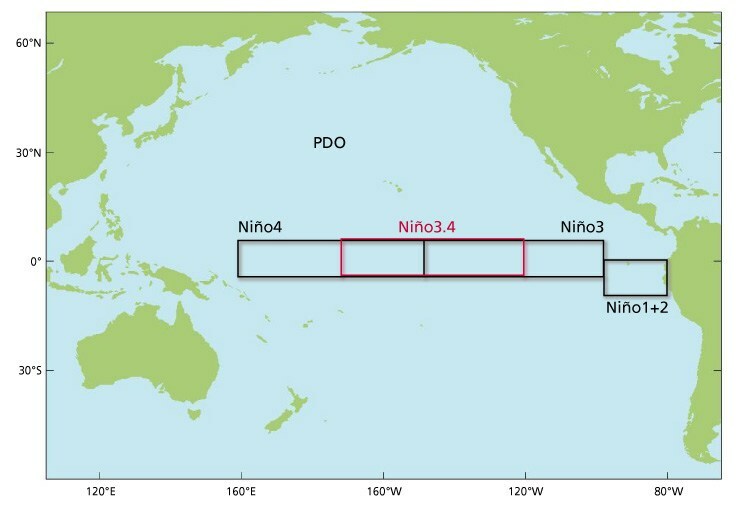 Nino Regions 1, 2 not included, Atlantic Ocean or Arctic or Indian Oceans not included. So it is not just any "surface water temp." 2. "La Nina... increasing frequency", Wrong. La Nina and El Nino happen in cycles, each occur every 5-6 years on average. 3. "general global warming." If you mean "unprecedented, unequivocal warming", Wrong. Global warming-global cooling happen in cycles, natural climate cycles, with or without humanity's SUVs or bicycles. The medieval warm period, Roman warm period, Minoan warm period, produced a planet that was much warmer than the modern (or past century's) warm period. 4. "government action, in this regard, would have to be in the form of climate change-proofing the country." ???? Government, the UN, environmentalists, etc. can prevent or control less rain or no rain or more rain? They can control and fight less flood, no flood or more flood, that happen naturally in cycles since millions or even that past 4.6 billion years ago? weird. "A good start to controlling mosquito borne diseases, might be to remove the pointless bureaucratic obstacles to spraying DDT, one of the most effective anti-mosquito chemicals ever developed. Use of DDT was almost outlawed after vigorous scare campaigns by green groups, but this much maligned chemical is harmless to humans. Professor Kenneth Mellanby, who campaigned for the use of DDT in the 1940s, used to eat a substantial pinch of concentrated DDT as part of his demonstration. Mellanby did not suffer any health problems from his massive consumption of DDT – he died in 1993, at the age of 85 years." An economics study on malaria, Average Household Size and the Eradication of Malaria by Lena Huldén, Ross McKitrick and Larry Huldén, Journal of the Royal Statistical Society Series A, October 2013. The paper's findings can apply to dengue, other mosquito-borne diseases. With 4 charts and 2 tables. 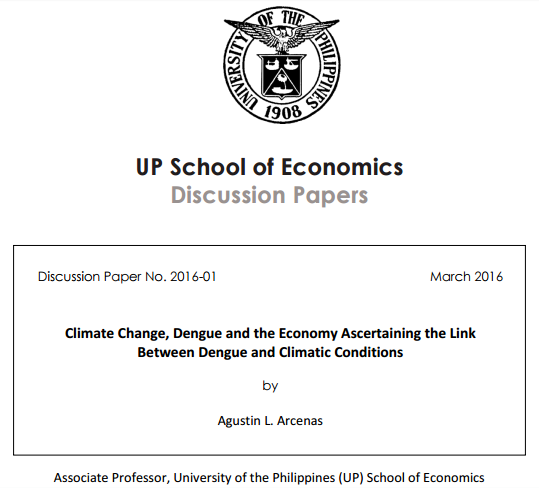 I can understand the "climate leaning" of studies from UP and many other colleges and universities. These are mostly USAID, UN, ADB, WHO-funded research projects and all of these institutions peddle the "man-made" CC only. Do not insist the natural or cyclical nature of CC, the "nature-made"CC, there is zero funding from these institutions. So peer-review process will be very limited. I do not blame Oggie or many other UP economists. The mother of all corruption in the planet is the UN, at least on the climate and energy policies. The corruption and political science aka as UN climate science permeates down to all multilateral and foreign aid agencies, from the WB and IMF down to ADB and regional banks; from UNEP and FCCC to WHO, UNDP, etc. Paano ba naman, sabihin nila, no nature-made CC, only man-made CC. No global cooling, only global warming. Since it is "man-made" problem, then there are lots of "man-made solutions", doon na papasok sila UN with their global ecological central planning. Everything in this planet is about natural cycles: day-night cycle, wet-dry cycle, El Nino-La Nina cycle, winter-spring-summer-fall cycle, hydrologic cycle, carbon cycle, nitrogen cycle, solar cycle, lunar cycle,... Tapos walang climate cycle, only "unprecedented, unequivocal man-made warming", 100% political science na. As of this writing (almost 11 pm in Manila), UK voters are deciding in a referendum whether their country should remain or exit the European Union (EU). 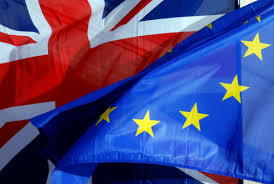 I did not follow closely the Brexit vs Remain debate, but since my advocacy is less government (local, national or regional/international/multilateral), my leaning will be towards the Brexit. Am not a UK voter anyway, just expressing a short opinion about the issue. Meanwhile, two articles I read today from capx.co further cement my leaning towards the Brexit. Copy-pasting only a few paragraphs. Nice one from Matt Ridley especially. The two images here I got from the web, ie, not my artwork. Also, they are not part of these two articles, I just added them here. We have clamped down on Indian scientists because we cannot clamp down on Romanian fruit pickers. The same is true for students. The least qualified Spanish student has more right to subsidized fees than the most qualified Argentinian student. The European Molecular Biology Organisation, the European Space Agency, EUMETSAT – these are pan-European, not EU projects with many member countries outside the EU. The League of European Research Universities included non-EU members. The particle accelerator at CERN actually crosses (beneath) a border between an EU and a non-EU country. The Higgs bosons do not have to show their passports or pay tariffs as they pass. CERN gets less than 2% of its budget from the EU. – There was the clinical trials directive, which destroyed clinical trials in this country and according to Morris Brown of Cambridge University “threatened patients’ lives”. We used to have 12% of world clinical trials, but we now have 1%. – There was the data protection directive, which made many kinds of research much harder here than on other continents. The UK’s port industry is mostly privatised and under a self-regulatory system. 75% of the UK’s largest ports are under private ownership. This is in stark contrast to continental Europe, where around 80% of ports are operated by state or local authorities. These comparatively inefficient ports require vast subsidies – expansions at Rotterdam and Hamburg ports, for example, were constructed with subsidy assistance of 1.1 billion Euros and 788 million euros respectively. However, their counterparts in the UK – ports such as Felixstowe and Southampton – have expanded without a penny of taxpayer subsidy. * This is my article in BusinessWorld last June 17, 2016. The 1950s and 1960s were periods of economic nationalism as the Philippines and many other countries emerged from post-World War II damages and reconstruction. That many countries chose trade protectionism then was understandable as it was also a period of strong communist movements and anti-global capitalism in Asia, as shown by the communist transformation of China after the successful Maoist revolution in 1949. In the Philippines, early communist movement led by the Huks also championed economic nationalism. In the 1970s, a period of some economic liberalization plus strong state intervention and dictatorships swept many East Asian economies. Former President Ferdinand Marcos for instance imposed a dictatorship that allowed him to stay in power for a total of 20 years. Huge petro dollars financed various infrastructure projects in the region that allowed some countries to develop faster than others. The 1980s was a period of continued economic liberalization plus a dismantling of some dictatorships in Asia, including the collapse of the Marcos dictatorship in 1986. By then, the “Asian dragons” -- South Korea, Taiwan, Hong Kong, and Singapore -- were rapidly developing and emulating the industrialization path of Japan. Mid-1990s was the golden age of globalization. The World Trade Organization was officially created in 1995 with a clear goal of promoting rules-based global free trade. Protectionism by many member-countries were tapered and reduced. As a result, high tariffs were brought down to moderate levels and non-tariff barriers (NTBs) -- such as import quotas and quantitative restrictions were converted into tariffs. In the Philippines, it was also a period of more substantial economic liberalization -- the country became more stable after it reeled from political and economic uncertainty that was instigated by several bloody military coup attacks and naked attempts to grab state power in the late ’80s. The foreign investments act, telecom deregulation, and similar laws were enacted in that decade. When the 21st century came, the Philippines and many countries in Asia and around the world have already developed their own momentum of liberalization and deregulation. It was just a question of taking either a path of fast or moderate trade liberalization. For ASEAN countries, the chosen path was unilateral, fast, regional liberalization that tariffs for intra-ASEAN trade was near zero for the six older members (Brunei, Indonesia, Malaysia, Philippines, Thailand and Singapore) while the four new comers (Cambodia, Laos, Myanmar and Vietnam or CLMV) were given a longer window of zero tariff at a later date of 2015. Here is one summary of the foreign trade performance of the Philippines over the past half-century, expressed in the exports and imports of goods and services (G&S) as share or percent of GDP, and annual trade growth (see table). Notice the jump in the country’s exports of G&S in 1995-2000 upon joining the WTO, despite the East Asian financial crisis in late 1997 to early 1999. There was a big decline in both the exports and imports of G&S in 1998 but it was not enough to erode the 40%+ exports/GDP ratio. Another round of trade decline was experienced in 2008-2009, a period of global financial turmoil that started in the US’ housing and credit. The Philippines’ exports/GDP ratio went back to the 30%+ this decade. Did the country (a) apply some brakes on trade liberalization, (b) or has the denominator, in this case, GDP size, simply risen faster than the rise in the numerator? Or (c) both? It appears that (c) happened. Having brought down overall tariffs to near zero for fellow ASEAN members, the Philippines can no longer bring it down any further for its neighbors. It can only liberalize further by having multiple bilateral free trade agreements (FTAs) with other countries or bloc of countries outside of ASEAN. This is a cumbersome and bureaucratic path towards more trade liberalization. The easier, less messy path would have been unilateral liberalization the way it engaged its neighbors in the ASEAN. Singapore, Hong Kong, UAE, Chile and few other countries have adopted this policy and so far the results are more positive than negative. The other explanation is that the Philippines’ GDP size has grown much faster, mainly because of domestic or internal factors like robust growth in household and private consumption. Now with a 100+ million population base, it is relatively easier to sustain this momentum. More people means more producers and consumers, more workers and entrepreneurs, more sellers and buyers. Sadly, there will be more government bureaucrats, legislators, regulators and consultants too, they need lots of taxes and fees to sustain their pay, offices, travels, trainings, bonuses and pension. So we need to take a different path of economic modernization via unilateral trade liberalization with more countries outside the region. And rejoice, not whine, at our bigger and younger population. Government interventions like bureaucratic and costly trade negotiations, implicit population control and high taxation to finance high bureaucracy and high regulations can be counter-productive over the long-term. Bienvenido S. Oplas, Jr. is a SEANET Fellow, head of Minimal Government Thinkers, both are members of EFN Asia promoting free trade. The Department of Energy (DoE) has finally published the list of solar power plants that are given the feed in tariff (FIT) and guaranteed price for 20 years. Seven will get the original FIT rate of P9.68/kWh for the first 50 MW, 17 others, the 2nd batch, will get a lower rate of P8.69/kWh for the next 450 MW, total of 500 MW as cap for solar FIT-entitled installation. “Are these the only companies eligible to the FiT 2? Those companies not included deserve some explanation as they invested billions of pesos in providing capacity to the national grid,” she said. (DOE Sec.) Ms. Monsada previously said that the 500-MW installation target was exceeded by around 300 MW. She said she would leave it to the next administration as to how it would resolve the rate for those that failed to make it to the DoE list. For other renewable energy technology, wind has also exceeded the first installation target of 200 MW by 49.9 MW with an approved FiT rate of P8.53 per kWh. The second 200 MW target with a FiT rate of P7.40 per kWh was not fully subscribed as only 144 MW was taken up by developers. For hydroelectric power projects, only 26.6 MW of the 250-MW target was taken up by developers. Appetite for biomass was also low at 101.451 MW or less than half of the 250-MW allocation. 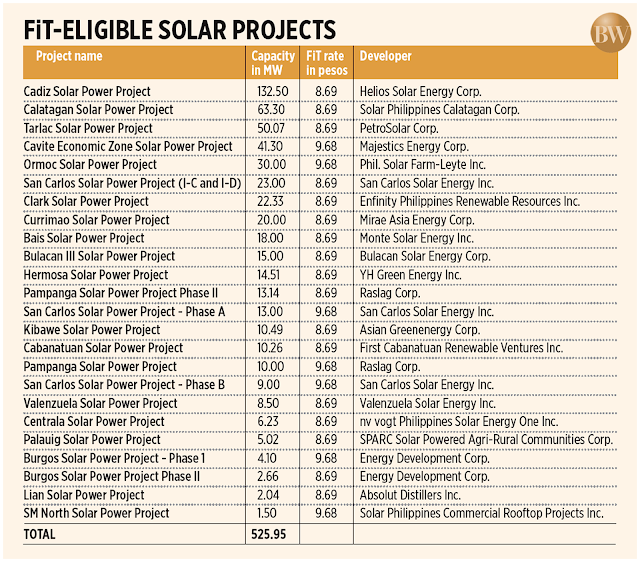 In all, of the DoE’s 1,400-MW allocation for FiT-eligible renewable energy projects, a total of 1,047.9 MW was taken up by generation companies. The solar lobby headed by Ms. Capellan originally lobbied that the FIT-entitled solar allocation be raised from the current 500 MW to 2,000 MW, or another 1,500 MW of solar farms to be given guaranteed price for 20 years. This old question will trail the renewables lobby: If solar, wind, etc. are indeed getting cheaper, then there should be no need for more subsidies and guaranteed price for 20 years (similar to guaranteed dictatorship ala Marcos), so why do they insist over and over to have more and continuing subsidies? They have capitalized on climate alarmism and hope that electricity consumers will embrace more expensive electricity to "save the planet" when in reality, many solar developers jump into the sector mainly to "save their pockets." Not blaming solar developers in particular, but the climate alarmism and renewables cronyism that is institutionalized and legalized under RA 9513. Labels: DOE, feed-in-tariff, renewables, solar energy. Last week, June 16, I met some old friends and officemates way back in the 90s at the PH's House of Representatives. I worked at the Congressional Planning and Budget Office (CPBO) from 1991-99, nine years. 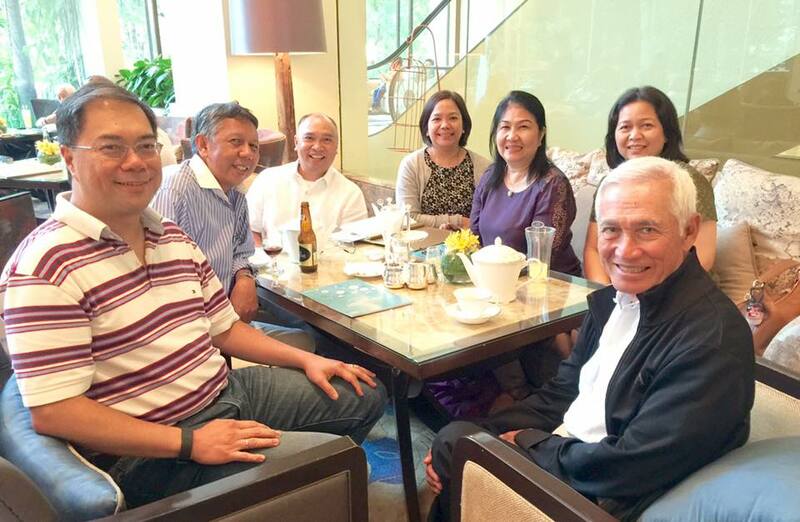 Photo below from left: Ronald Villanueva, me, Joven Balbosa, May Santos, Janna Sheng, Glo M. Villanueva, Gary B. Teves (GBT). Shangrila Edsa Hotel lobby. Ronald used to work at the HOR Committee on Economic Affairs (CEA) when Sir Gary/GBT was the Committee Chairman for several years. Ronald now works at Shell in Houston, Texas. Joven was the one who recruited me at the CPBO in 1991, he was a Director then. He later moved to San Miguel Corp., then another finance firm, then WB Manila, now with ADB. May was another officemate at CPBO, now at ADB too. Janna succeeded Ronald at CEA, she's still the Committee Secretary of CEA until now. Glo was a former officemate at CPBO, married Ronald, then moved with him as Ronald became an expat, first at Shell Singapore then Shell Houston. 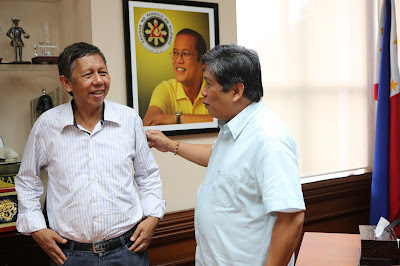 When I was new at the HOR, Sir Gary would "borrow" me from my boss in CPBO and I helped him in the various technical studies about the Foreign Investments Act (FIA) of 1991. It was the law that set the "negative list" or "no go" for foreign investors because of the Constitutional restrictions, but the law also gave certain incentives and protection to foreign investors in the country. I helped Sir Gary again in succeeding years, I don't remember now on which sectors. Should include banking, shipping and airline liberalization, etc. Sir Gary was very famous then as an economic legislator. Frequently heading or a major voice in the House contingent in Bicameral meetings with the Senate on various legislations in business and economics. In 1998, GBT's 3 terms as Congressman expired, he put up a private consulting firm, Think Tank, Inc. in Makati. I joined his firm initially as part-time staff in late 1999, then I decided it was time to leave government work and focused on this private consulting firm. I became a full time staff in 2000. GBT was tapped by then DOF Sec. Titoy Pardo under the Erap Estrada Presidency (1998-2000) to become a consultant and provide heavy technical support to Erap's Economic Coordinating Council (ECC). Erap's style then was different, he did not like meeting a big group, he wanted a smaller group. So while all Cabinet Secretaries were still meeting regularly in Malacanang, Erap would not be there always. Instead, he was meeting the ECC members weekly, about 7 or 8 selected Cabinet Secretaries headed by Titoy Pardo. Sometime in mid-2000, a weekend, I was driving at NLEX going to Pangasinan, I was already approaching Tarlac. Then I got a call from Sir GBT if I can help that night for an important ECC meeting the next day at Tagaytay Highlands. Without any hesitation, I made a U-turn and drove back to Manila. By afternoon, a car picked us up in Makati and brought us to Highlands. Our work started late afternoon until about 4 or 5am. About 2 hours nap, by 9am we were ready for the ECC meeting and Sir Gary gave a briefing on various issues. We provided the various numbers and projections if Option A vs Option B is taken, and so on. I was not a full-bloodied free marketer that time. Anyway, those were the days. We all thanked Glo and Ronald for organizing that get together. Btway, I stayed at the couple's condo in 2008 or 2009 after my conference in Singapore, then I visited them and stayed in their house for a few nights in Houston after I attended a conference in Chicago in 2010. A greenie friend posted this paper published this week from climate central, Antarctic CO2 Hit 400 PPM For First Time in 4 MillionYears. Oyy, some guys attempt to use paleo-carbon data to sustain their climate alarmism movement. Ok, past 4M years of CO2 concentration in the atmosphere. 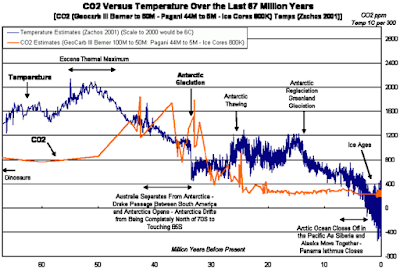 In their literature, "more CO2 = more global warming", an urban legend formulation. 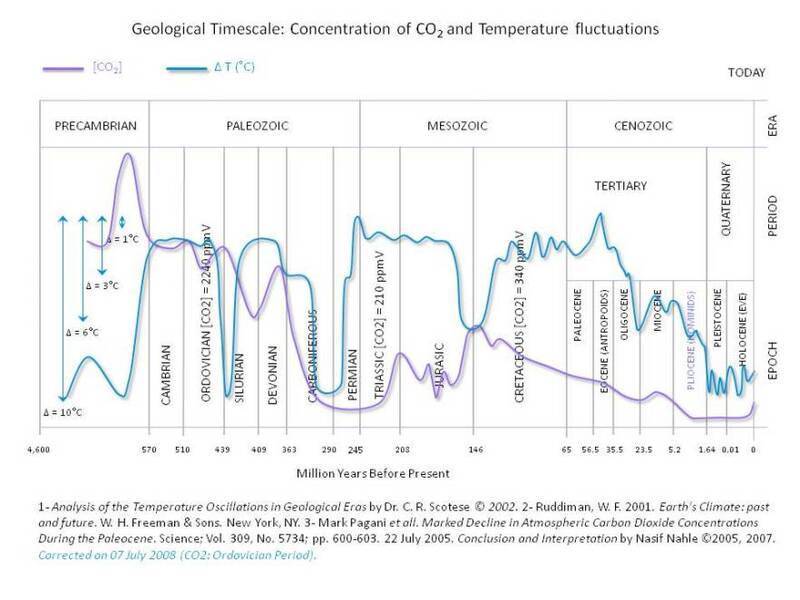 Here's why, just a few paleo-climate data. 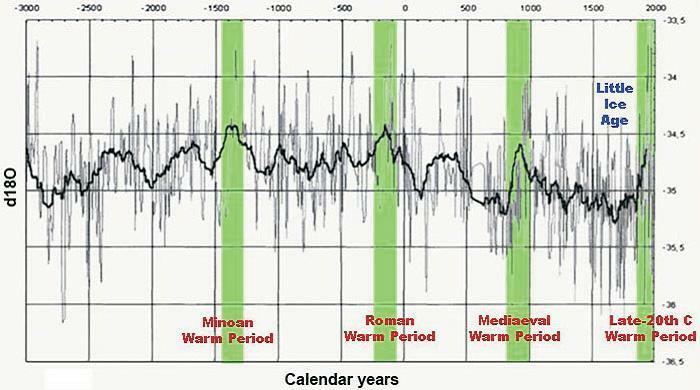 (1) Global temp 4,000 years ago. 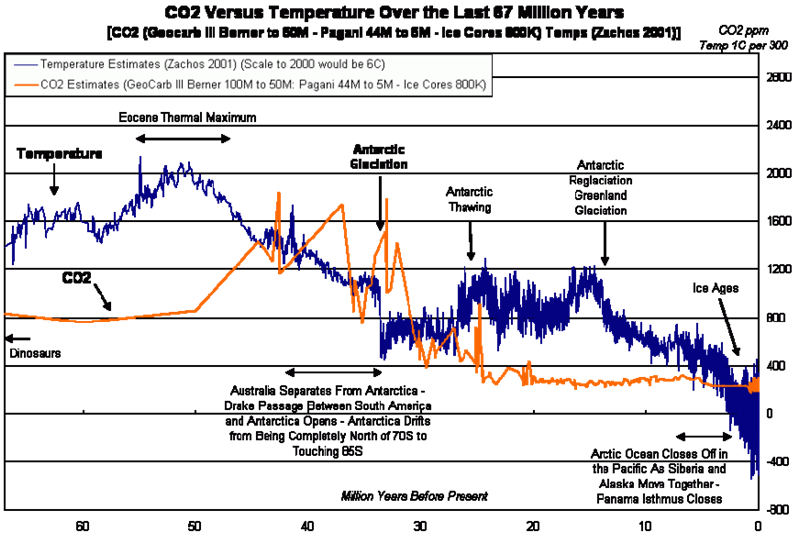 See the warming-cooling-warming-cooling for thousand, millions years ago? When there was not even a single car, not a single bicycle, not a single coal or diesel power plant. Not "clarity and understanding" when people and governments always equate that "more CO2 = more warming". 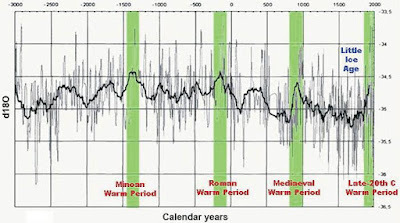 Instead, there is misclarity and misunderstanding, as shown by the 4 paleo-climate data above, just some of the many data that are publicly available. CO2 levels go up and down too, part of the natural carbon cycle -- like hydrologic cycle, day-night cycle, wet-dry cycle, winter-spring-summer-fall cycle, El Nino-La Nina cycle, and the overall warming-cooling climate cycle. So saying "more CO2 = more warming" is an urban legend. 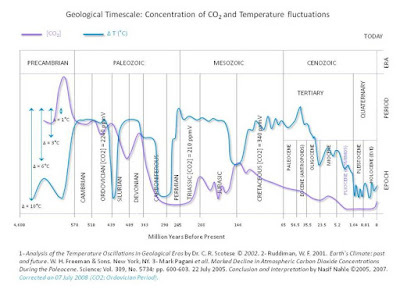 The 4 paleo-climate data/charts show that global warming has precedents, lots of precedents, it is not "unprecedented", even when human emission of CO2 was at low levels. There was global warming in the past when there was not even a single car or a single bicycle in the planet. Mababaw sa climate data ang climate alarmism movement, that is why there is more alarmism and worryism injected heavily in public discourse, not real hard data. And the UN, many national governments applaud a lot that they have one huge reason to keep expanding the size of government and its multi-level, thick bureaucracies -- they are the "planet saviours." hehehe, bad joke.